I always have fun asking Wyoming football players things like this every year. With today being Halloween, I asked certain players what their favorite Halloween costume was growing up (or if they still dress these days) and their favorite Halloween candy. Wyoming concluded its four-game home stand with fairly impressive 45-10 victory over Texas State in front of 21,784 at Jonah Field at War Memorial Stadium this past Saturday to improve to 3-2 overall. The Cowboys are off this coming week before it plays at Utah State on Oct. 14. My column from the game was about how this was a complete team win for UW, as touchdowns were scored offensively, defensively and on special teams. Wyoming practiced Thursday morning in War Memorial Stadium, and the weather had a fall-feel as it was a little chilly and breezy. Third-year coach Craig Bohl the practice, which lasted a little over two hours, was “work-man like. At this point in camp, UW also is installing some of its game play for its opener Sept. 3 against Northern Illinois. Bohl moved Wednesday afternoon’s practice to evening so some of the players can get used to playing under the lights. Such will be the case in the opener. Here are some highlights from practice. Here are some of the biggest “gains” in terms of Wyoming football players and weight from the end of last season and as spring drills began Tuesday in Laramie. Weights are from UW’s depth chart prior to its 2015 season-finale against UNLV and its current depth chart before the start of spring football. In the case of running back Brian Hill, I went off the weights he told me personally. Players’ classes in terms of eligibility are listed next to each weight. Two of the eight seniors on the Wyoming football roster are seniors — guard Troy Boyland and center Rafe Kiely. However, in offensive line coach Scott Fuchs’ mind, he returns five starting offensive linemen for the 2016 season. That’s because sophomore Charlie Renfree started the first 10 games this season at center. Kiely did some good things in practice late in the season, and Renfree was a bit banged up. Kiely started in UW’s Nov. 14 game at San Diego State and will start in the Cowboys’ season-finale Saturday at home against UNLV. Renfee and Kiely have split time in UW’s first 10 games, but Renfree saw most of the playing time. Boyland started in nine of 11 games, but true freshman Kaden Jackson started two. And, both have played in all 11 games this season. Boyland moved from defensive line to offensive line this season. At 0-5, to say anything came easy for the Cowboys would be grossly false. But the Cowboys start a string of six consecutive Mountain West games this week against teams that went to bowl games last season. The first is at Air Force at 8:15 p.m. MT in a game televised nationally on ESPN2. Here is second-year-coach Craig Bohl at his weekly news conference Monday. There wasn’t a lot of movement on UW’s depth chart heading into this game. Bohl is hopeful senior running back Shaun Wick (concussion) will return this week. Wick was not listed on the depth chart. Sophomore Josh Tapscott was the backup behind sophomore Brian Hill. Tapscott and redshirt freshman Nico Evans both got carries in UW’s 31-13 loss at Appalachian State last week as Wick didn’t make the trip. Hill had 208 yards on a career-high 30 carries last week, and until Wick returns, look to see a lot of Hill in UW’s backfield. Most of the talk on this day was the moves UW is making defensively, especially at linebacker. Junior Lucas Wacha moves from weak-side to the middle. Sophomore Tim Kamana moves from the strong-side to the weak-side. Junior Eric Nzeocha is benched and now will back up Wacha in the middle. UW also wills start true freshman Antonio Hull at one of the two cornerback spots, opposite of sophomore Robert Priester. What do you think folks, do you think these moves will help UW’s defense, especially against the big plays it has given up (12 of 30 yards or more, nine of which for touchdowns)? 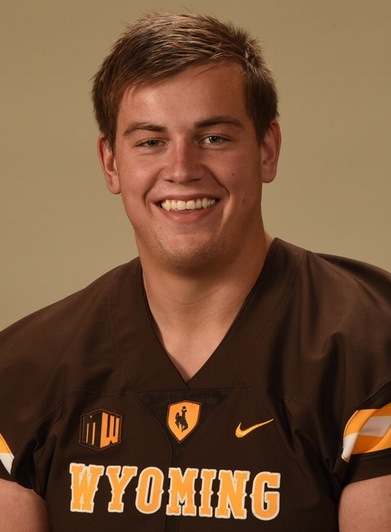 Complete offensive game: Wyoming averages 400 yards of total offense per game, has the Mountain West leader in rushing in sophomore running back Brian Hill (411 yards) and a quarterback in redshirt senior Cameron Coffman who has thrown for 578 yards and four touchdowns in two games. Yet, the Cowboys are 10th out of 12 teams in the MW in scoring (18.7 points per game). It’s great UW has shown it can move the ball, but it has to finish drives with points. Agree, disagree? There are many more things the Cowboys must do well if they hope to win. See Saturday’s Wyoming Tribune Eagle and Laramie Boomerang, and log on to wyosports.net for more on that. Three games and three different combinations at the two safety spots for the Wyoming football team. But when UW (0-3) hosts New Mexico (1-2) in the Mountain West opener for both teams Saturday, it expects to keep the same two starters who played most of the game in last Saturday’s 31-14 loss at Washington State. True freshman Andrew Wingard is slated to start at free safety, and redshirt freshman walk-on Marcus Epps at strong safety. Wingard made his first-career start Sept. 12 against Eastern Michigan, and he led the Cowboys in tackles at Washington state with 12. Wingard has 24 tackles in the last two games. Wingard played mostly on special teams in UW’s opener against North Dakota on Sept. 5. Epps started at free safety against North Dakota, and had 11 tackles. He suffered a concussion in that game and missed the Eastern Michigan contest. Epps produced the Cowboys’ first turnover of the season with an interception in the third quarter. Epps also had five tackles and broke up one pass. The Cowboys had three different starters at strong safety in their first three games. Redshirt freshman Chavez Pownell Jr. started the opener, followed by redshirt freshman walk-on Adam Pilapil against Eastern Michigan. UW safeties coach and pass game coordinator Curt Mallory said all four safeties have played both positions during fall camp, and Epps, Pilapil and Pownell did the same during spring drills. Despite the youth, Mallory likes this group and the way it approaches the game.